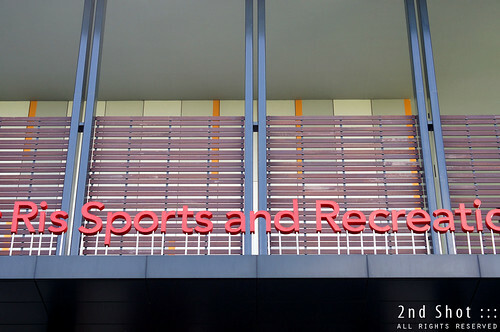 Hougang SMC Shape Like Lightning? Where was this Elephant at Seraya Crescent? With a dormant blog like this, I do not expect to receive many comments or emails from readers, if at all. 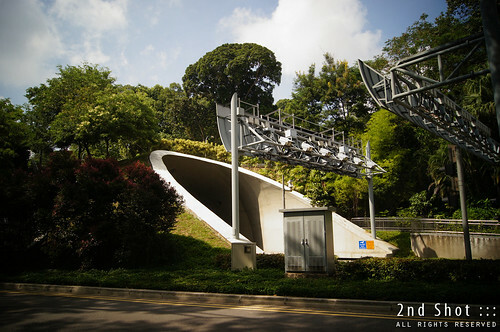 Therefore you can imagine my surprise when one reader Timothy emailed me a photo (above) of a mountain taken in Choa Chu Kang from his iPhone. The familiar plateau towering and basking in the background sunset, it is our old friend I have blogged about in the past (here, here and here). 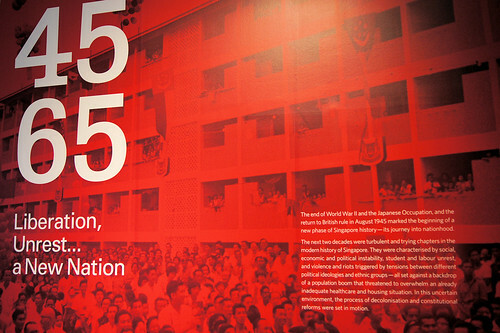 The PM National Day Rally is typically where and when stars aka role models are born literally over an evening from the stage of University Cultural Centre at NUS. For this year's rally the PM listed out, as usual, the folks across the various demographic groups who would become our role models. What's unusual is the role model for active ageing whom the PM met after one of his constituency events. From her age and hobby-mismatch witnessed by the PM that day, I guess she must have left a deep impression in him. 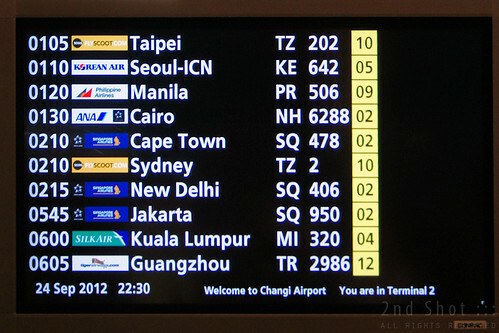 History is made on the morning of 25 September 2012 as the inaugural Tiger flight made its way out of Changi Terminal 2. Four hours before an arrival flight at Changi Budget Terminal saw the disembarkation of the last group of passengers to have used the airport and with their clearing of immigration and collection of luggage, the curtains finally came down drawing the era of our no-frills terminal to a close. While I blog about geographical heritage, I do not usually pay much attention to the nature heritage around us. This has not changed much since 2009 when I failed to find the nutmeg trees in the Istana (what to do, without an identification guide, this city boy still can't). 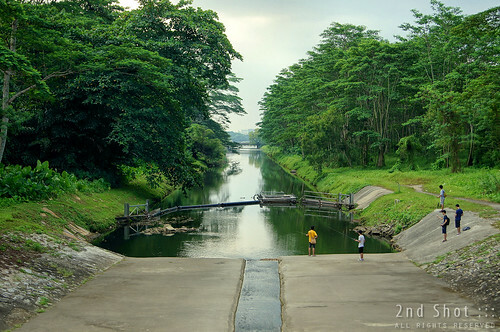 Few weeks ago however, this interesting sight of a transition between the man-made and the natural, where the canal meets the river, caught my attention. 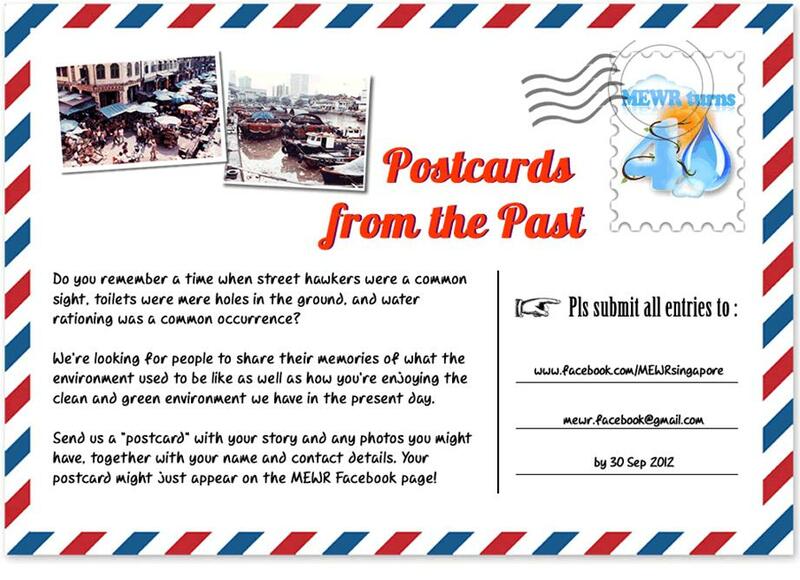 No, I'm not showcasing postcards from the past. Today I received an email from Isabel Ong of the Ministry of Environment and Water Resources (MEWR) informing us the collective memory project they are currently running. 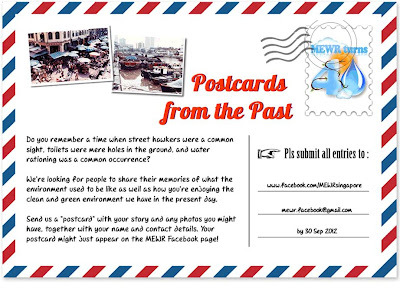 Wait a minute, why is the environment and water ministry also running a memory project when they should be tackling once-in-50-years floods? Hi, I'm back from my hiatus. Stopped for a few weeks as I badly needed a break from all the information overload. A good time to think about future directions for the blog too. 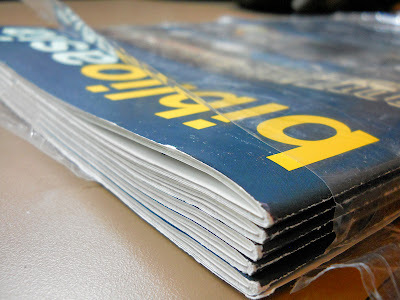 Recently I received quite a few emails regarding the blog, which shows despite the site being stagnant for a while, the blog has not faded into oblivion. They woke me up from my slumber, and made me feel those past efforts have been worthwhile, so I obliged their requests whenever possible. It was only last night while reading my facebook feeds that I realized election rallies for Hougang by-election has started. Honestly, my interest in the by-election waned after it was announced polling day would not be a public holiday; furthermore the government has clarified this by-election would be on local issues in the ward, not national ones, so that is no need for non-Hougang voters to be overly excited. Still I clicked on the link, which brought me to a YouTube video on the WP rally, uploaded by Today Media (the last point is to assure everybody the video is nothing subversive). Just received this from public relations and thought it may interest some of you. 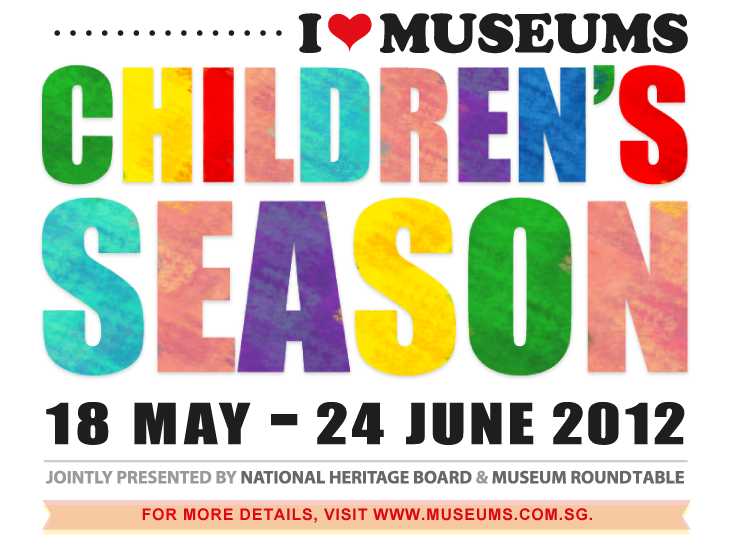 This June holidays, NHB and Museum Roundtable are co-organizing Children's Season 2012. The event is now in its fifth year and you can read the details on the website. The piece of good news, even if you do not have kids, is that there would be free admission every weekend to different museums between now and 24 June! 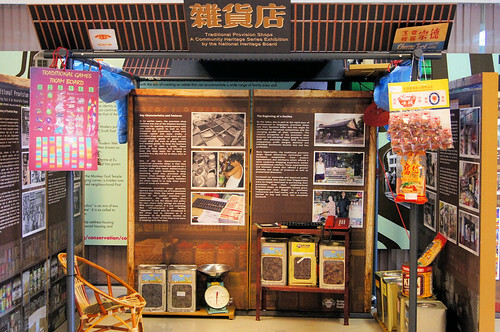 A sign that I have not been keeping up with happenings in our heritage institutions, I was somehow taken aback to receive not one, but two emails from one external public relations company of NHB which reminded me that International Museum Day (IMD) is just around the corner this weekend. 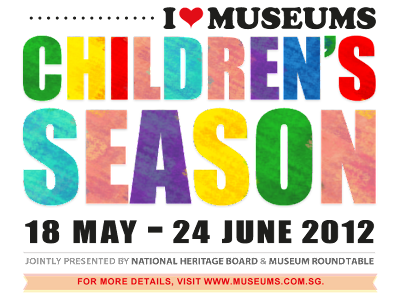 Do mark this date down, if you are an avid museum-goer, or if you are simply waiting for a free lunch from NHB, because IMD is an open house day for the 7 NHB museums, so visitors get to enjoy free admission to the exhibits. 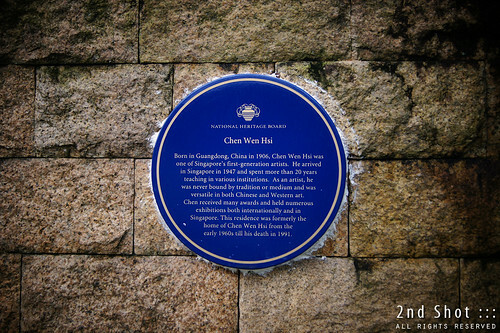 I stumbled onto this NHB heritage marker at Kingsmead Road one day while wandering in Bukit Timah. This came as a surprise, as I did not expect to find one in the middle of this posh landed housing estate. Even more puzzling was the fact that the blue marker supposedly commemorates an artist, whose fence wall at his former residence the marker now adorns. 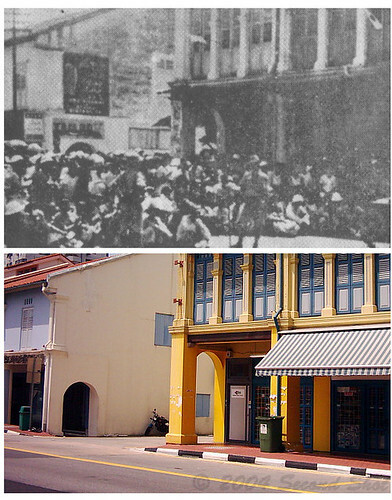 It was perhaps fate that the bus to my new workplace took me round the junction of Jalan Kayu and Yio Chu Kang Road and a quaint two storey colonial building came into view. 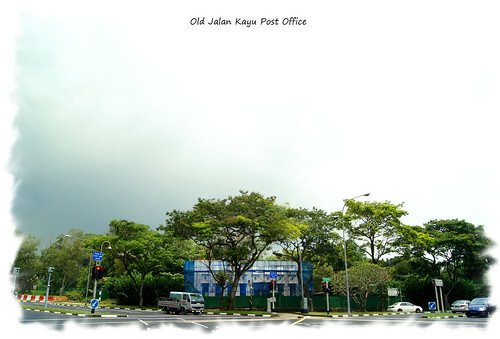 My first impression was one of curiosity, what was this building and why it was sited so close to the filter road. 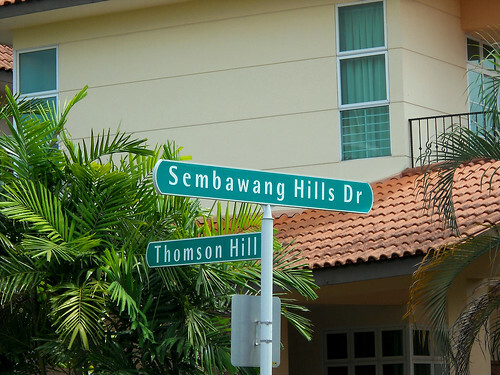 I had initially assumed it to be an outpost of RAF Seletar fallen into disuse; it did not appear to be inhabited. Nearby is another unusual structure but taller, could these have belonged to the air base? 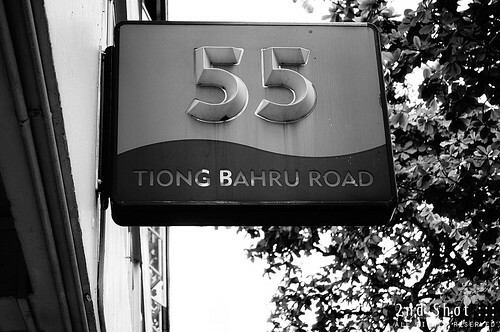 When I got a little bored with Chinatown for my lunch, I ventured into Tiong Bahru; and it was then that I began to have a good look at the pre-war section of the estate. 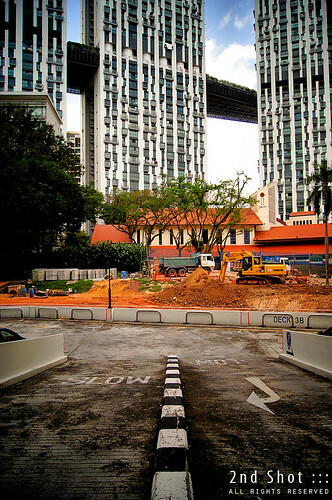 It was disconcerting at first, for at what is possibly Singapore's first UNESCO World Heritage Site (see the dream), streets run parallel and at right angles, and every corner of those art-deco buildings looks identical. I panicked when surrounded by these unfamiliar buildings in white: how was I to get back to Si Pai Por? 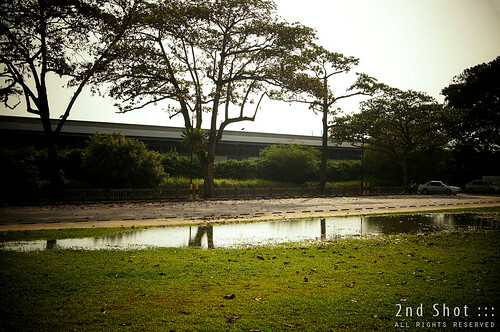 Eventually I managed to find my way around the estate, thanks to the frequent makan session and little exploratory walk before heading back to work. There are so many things in this pre-war estate that we can talk about, other than "bird corner", "art-deco", "delicious food", "bomb shelter" and what have you. Where shall I start then? Before I was posted to Si Pai Por, I could count the no. 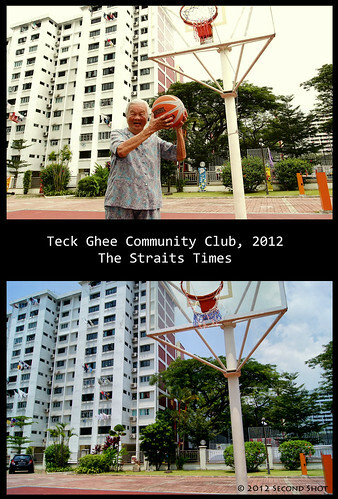 of times I visited the pre-war SIT estate of Tiong Bahru with my fingers. It was either a drive past along the main road or a food hunt - I remember Chwee Kuei - at its famous hawker center before it was rebuilt. I could not remember any of the Trust flats nor did I look out for them. 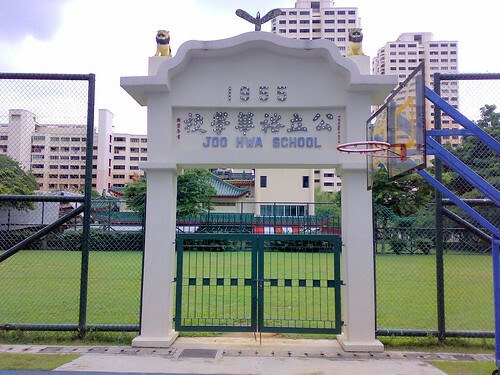 All in my mind was the grave of Tan Tock Seng, which I used to associate with Tiong Bahru; my neck would be craning inside the car as it made it way around or out of the estate. Was my effort rewarded? I think so, for I remember catching a glimpse of a solitary grave on a hill beside the estate. 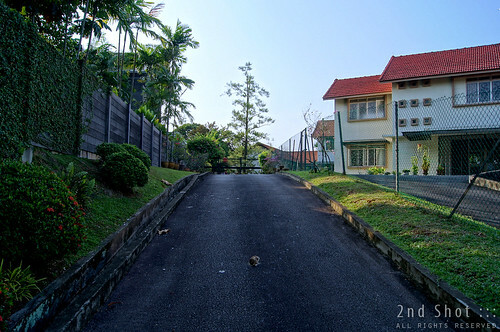 I accidentally stumbled onto this driveway with a wounded mushroom somewhere off Holland Road during one of my KTM railway explorations last year. Do you know the significance of the place? Clue: one of the Old Guards is living or used to live here. 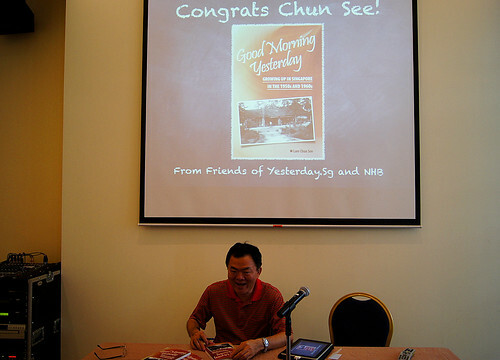 Today, there are reputedly four members from Singapore's first cabinet in 1959 still with us: one needs no introduction, he is the Primus inter pares; another was spotted at a recent Old Guard's passing; the third keeps a low profile; the last vanished without a trace. Who am I referring to? 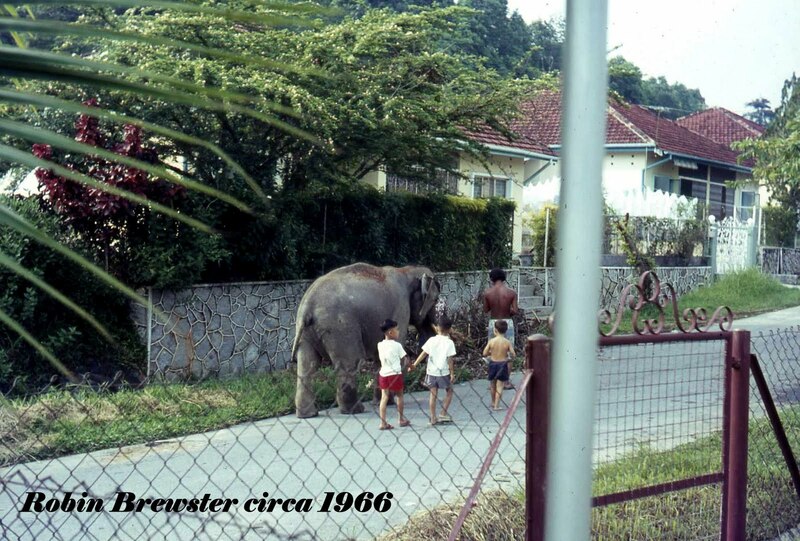 In his series of articles by guest bloggers on Sembawang Hills Estate, Chun See blogged on a 1966 photo from Robin Brewster that shows a young elephant strolling - purportedly - along Seraya Crescent. 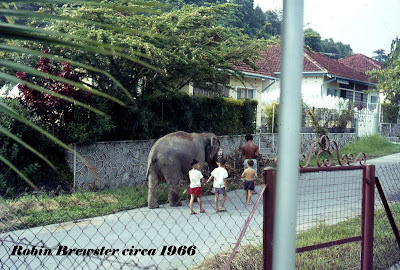 With no clue from Robin, many of the estate's old timers believe the elephant came from Tai Thean Kew Circus when it pitched its tent in the estate in the 1960s. However they are less sure about the exact location in the photo. 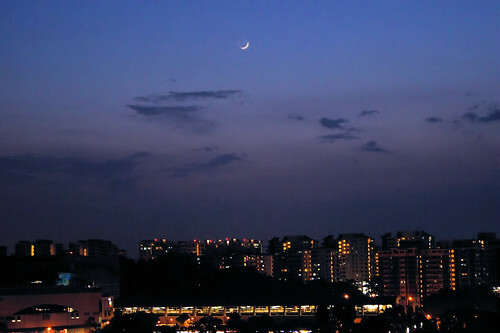 Was the photo taken at Seraya Crescent? One old resident has his doubts and so far nobody can pinpoint the exact location. The lingering question remains. 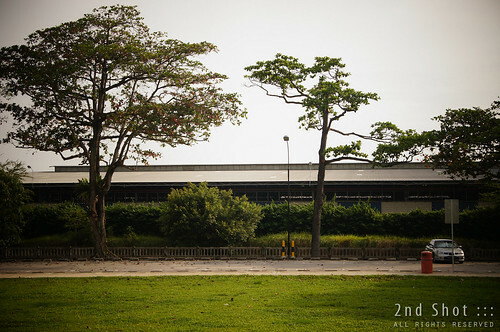 While I know nuts about Sembawang Hills Estate, I decide to do what I do best in this blog - explore the estate, nail down this old spot from 4 1/2 decades ago … and take a "second shot" of the same location. After I was relocated to Sepoy Lines last April for my work project, Chinatown became one of my many lunchtime playgrounds. 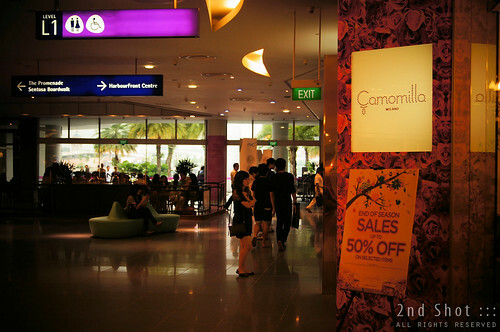 There were times I walked to Yan Kit Road, to try out the food centre and coffee shops at Tanjong Pagar Plaza. It was an never-ending discovery, as I would try out a new eating place each day, never to repeat the same shop later. In this latest adventure, I found out at last where the nasi biryani stall from Tanjong Pagar Railway Station relocated after June 2011. However food is not my topic today. I start my first post in 2012 with a piece of good news.